This post is to reply some comments about Holy Water. For those who don't know - Holy water can revive knocked out party members with 50% HP. I was asked to show where Holy Water can be fished up. 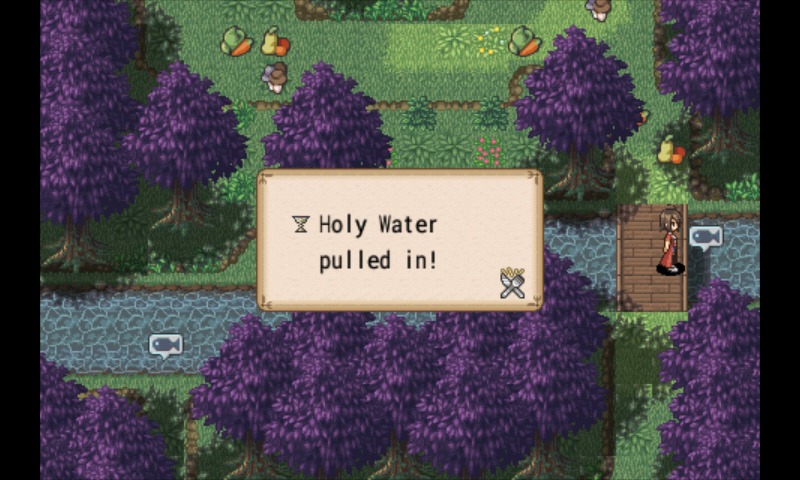 I haven't played the game for a long time but as far as I remember, there is only one spot where you can fish up Holy Water. The location is the bridge in Purple Forest. Here's a picture of the bridge. I don't think there is another spot where you can fish up holy water but please let me know if I am wrong. Thanks to Arvin, and the anonymous who left a comment below, reminded me there are other fishing spots for Holy Water. 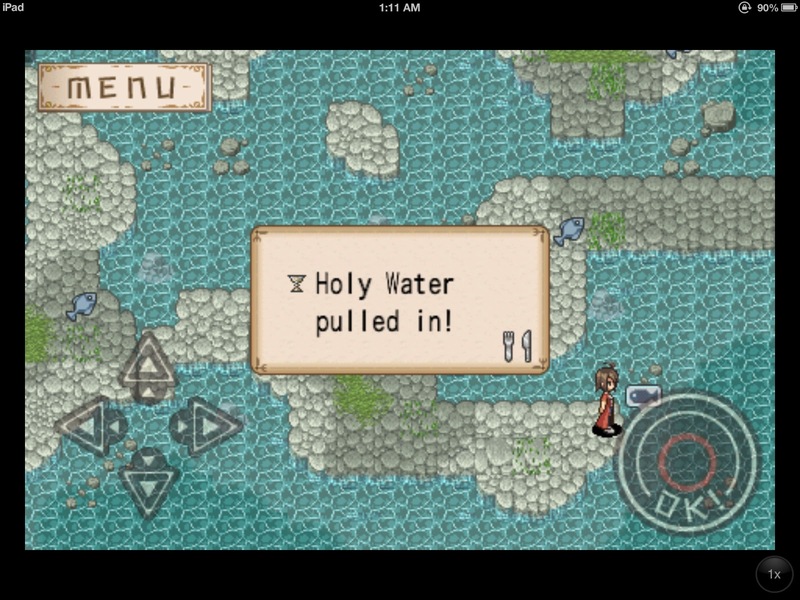 Enna, silkreef also can fish up holy water! Nice! :D I will have to add a picture here to show another spot then. :) Thank you. so, Besos and I been talkin, and well we miss everyone, hope you dont mind me postin on this, but we are back playing minecraft and miss you.... so, would you like to join us? yay! erm craftedminers.com so mc.craftedminers.com is the server ip. as you know, im in aust and bes is in england so yeah weird times to catch us and all, but im on there lots. just not when im sleeping! There are also spot in Fire island. There is fishing area in Fire island secret area. I hooked 2 Holy Water, it doesn't hook up often. But it also catches up. Angling and wildlife Tours, India Angling Wildlife Tours, Angling Wildlife Tours India, Fishing Wildlife Tours India, Wildlife Angling Tour India Comment Thanks for sharing good information ! Angling Wildlife Tours India Comment Thanks for sharing good information ! good joy examining ones write-up. It's rich in data My spouse and i seeking besides I like write-up some form of feelings which often "The content material on the write-up is usually awesome" Wonderful function.